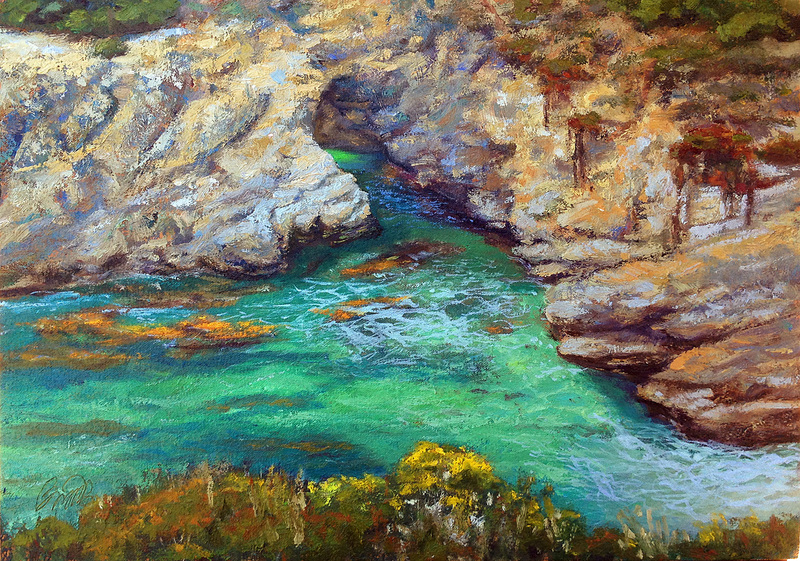 This 14×20″ oil painting is called “The Door to China Cove.” In what appears to be a cave near the center of this painting, is actually a passageway to the other side of this rocky formation. There is a white sand beach that you can get to. The clear water here glows with this unique green tone because of the white sand below. Contact me directly if you are interested in adding this to your collection. — at Point Lobos State Park.